What Keeps Seniors and Elders Physically Active in Their Neighborhoods? We know that design matters when it comes to having neighborhoods that make walking, bicycling, and public transit use safe and desirable. But does “safe and desirable” mean the same thing to different age groups? What do senior citizens and elders need to become (or stay) physically active in their neighborhoods? This is the question addressed in recent focus groups of seniors held in Holyoke and Northampton by the Pioneer Valley Planning Commission (PVPC) and the Massachusetts Council on Aging, with support from MA DPH. Input from the seniors that differed from the younger sets included preferences for more outdoor gathering places with seating, as well as more benches (in the shade) along walking routes and more access to restrooms. They also would like to see better lighting in key areas. Some folks pointed out that certain intersections need to allow more time for slower walkers to cross safely. 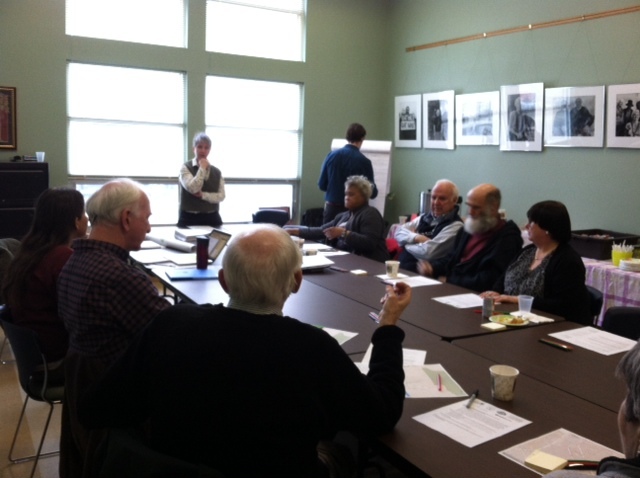 PVPC will use the input from the focus groups to update the Healthy Community Design Toolkit (PDF). ← 600+ MPHA Supporters Enjoy the Sun and Fenway Park!